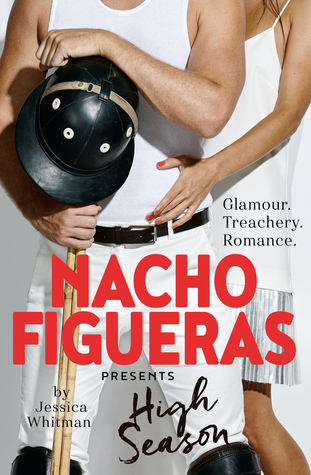 World-renowned polo player and global face of Ralph Lauren, Nacho Figueras dives into the world of scandal and seduction with a new fiction series set in the glamorous, treacherous world of high-stakes polo competition. Georgia never wanted to be a jetsetter. A plain old country vet was fine for her. But one distress call from her best friend and the next thing she knows she's neck deep in the world of polo's most elite international players--complete with designer dresses, fine champagne and some of the most gorgeous thoroughbreds she's ever seen. Some of the most gorgeous men too. . .
Alejandro Del Campo needs his team to win the season's biggest polo tournament or else he's not sure how much longer they're going to be in business. What he doesn't need is some sassy new vet telling him how to run his business--and distracting him at every turn. But as they come closer and closer to the championship match, it soon becomes clear that Alejandro wants to win Georgia just as much as the tourney trophy. But can he ever convince her his world is where she truly belongs? Was contacted by the publisher and asked if I'd like to read this book, and when I was told it was in the same field as the likes of Jilly Cooper, then I couldn't turn down that chance. So thankyou to Alison at Allen and Unwin for the copy! Wow!! What a read!! I happened to read it on the hottest day of the year and have to admit that a cold shower was required just as much for the content of the book as the heat of the day! I loved every minute of it!! Georgia is a very simple girl, who is happy to live a quiet life looking after animals, on a smallholding with her father. But her best friend Billy persuades her to join him on a trip to watch some Polo, and visit the parties, and it is such a contrast to her normality that she is a little overwhelmed at first, but is soon won over by the horses and people she meets - some more than others! Alejandro is the captain of the Polo team and his whole world revolves around the sport of Polo. He's faced tragedy recently with the loss of his wife, so he also has the added pressure of raising his teenage daughter with the help of his supportive family, and he has learnt to shut himself away and just to focus on winning. Georgia soon makes an impression on the Polo set when she notices an injury to one of the horses and her short trip is soon extended so she can help with vet duties for the team, and her simple style soon wins over Alejandro and he wrestles with himself about getting involved. It is so much fun reading the will they, won't they build up with these two - be prepared for many steamy scenes too! Not too graphic but exactly what the story needs. These two aren't only passionate about animals!! Loved the mix of the behind the scenes drama, with the high glamour of the Polo events and it was so interesting seeing how their two different worlds collide. They are also both very wary of rushing into things so the relationship between them builds nicely! Very pleased to hear this is just the start of a series so I am already looking forward to book two!